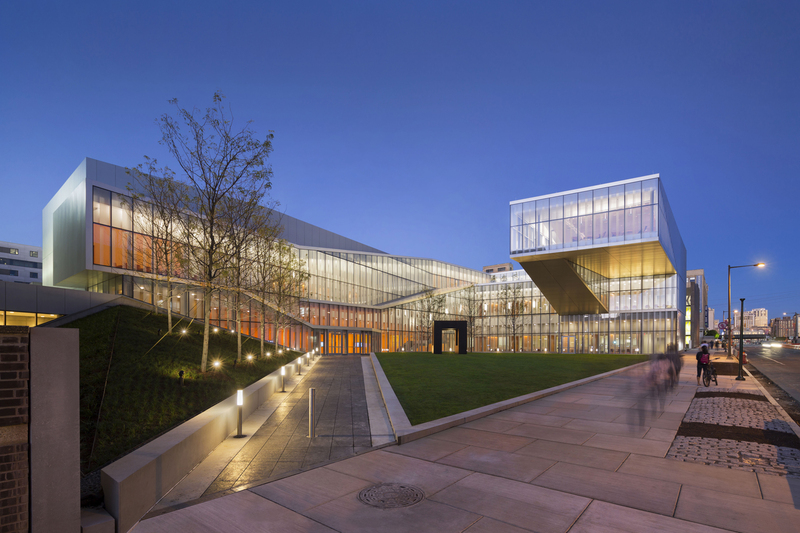 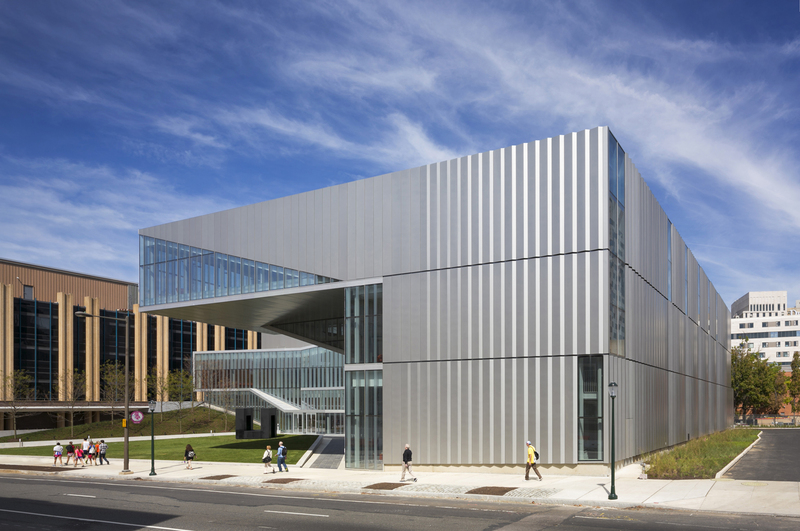 The Krishna P. Singh Center for Nanotechnology is the first major academic building that announces the presence of the campus within West Philadelphia. 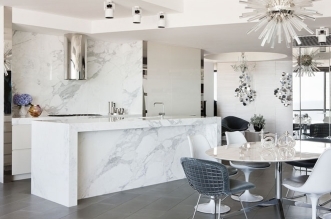 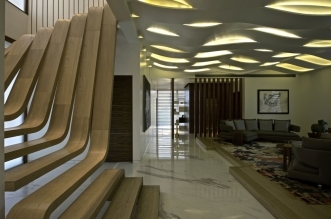 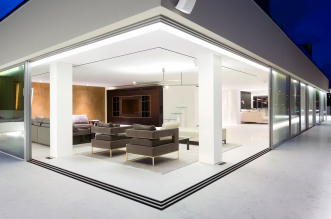 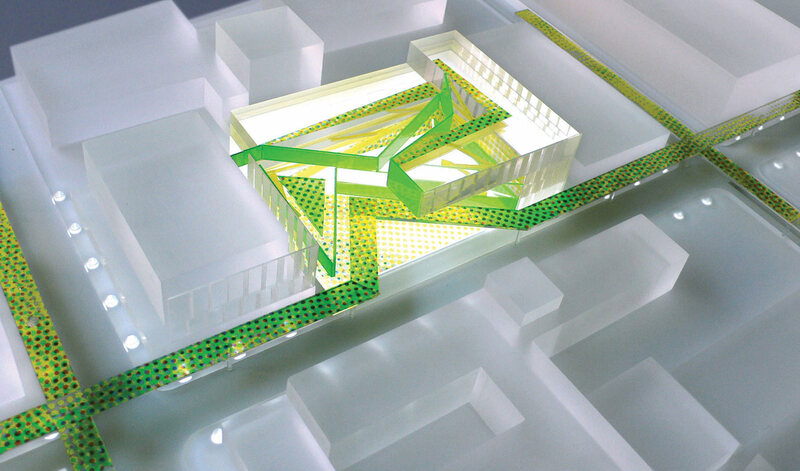 This is a project from the WEISS/MANFREDI Studio – from New York. 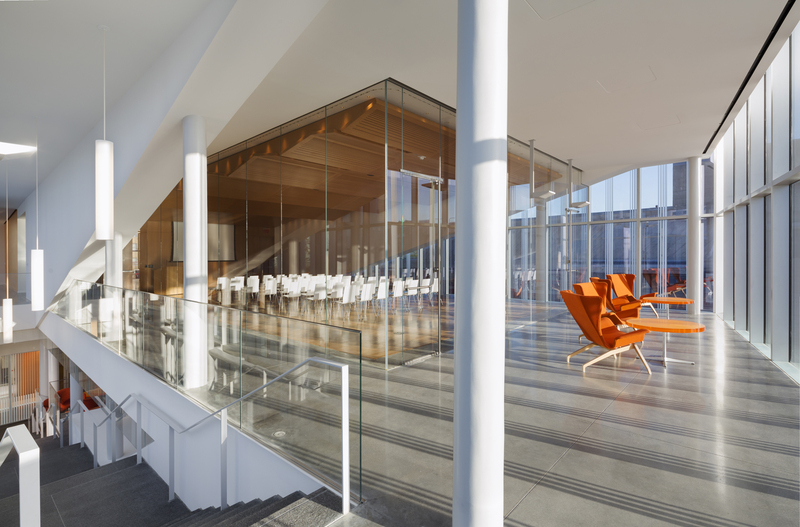 Public Galleria, conference rooms etc. 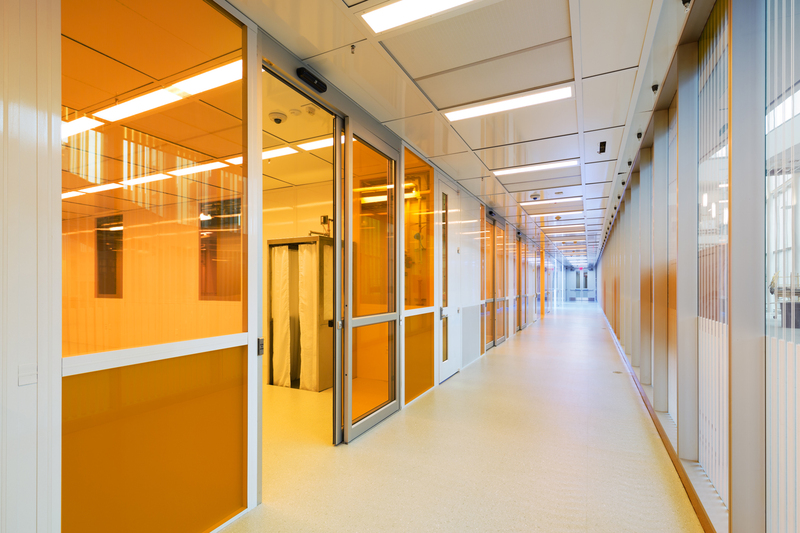 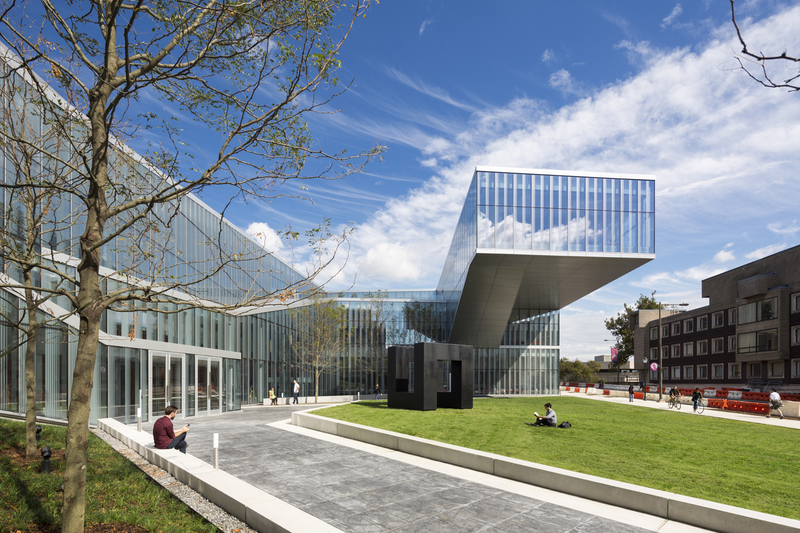 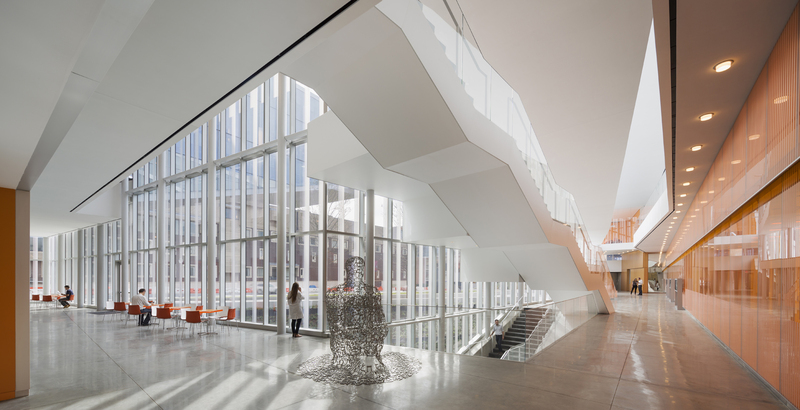 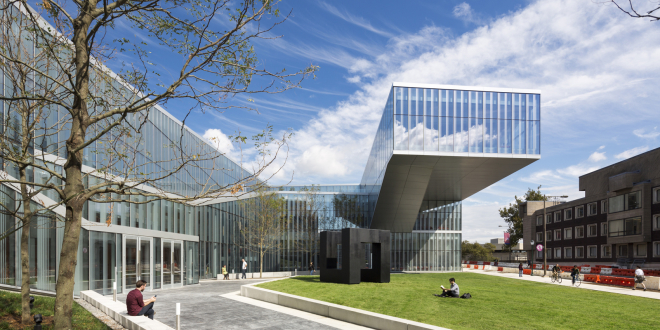 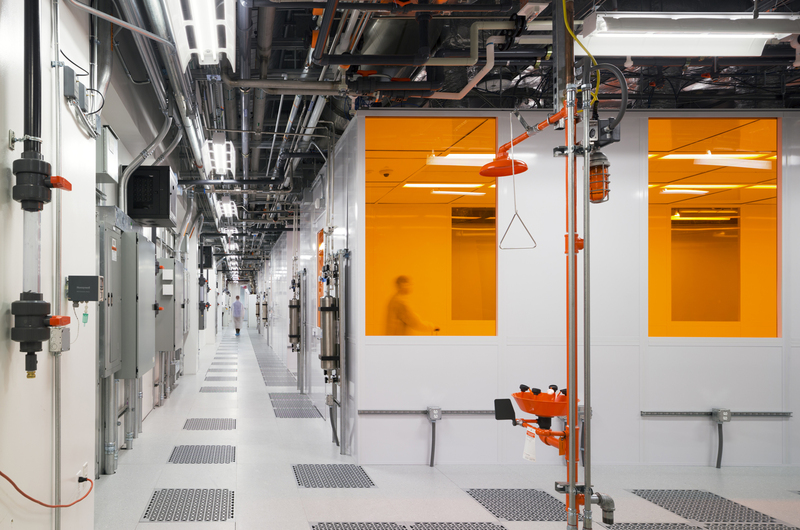 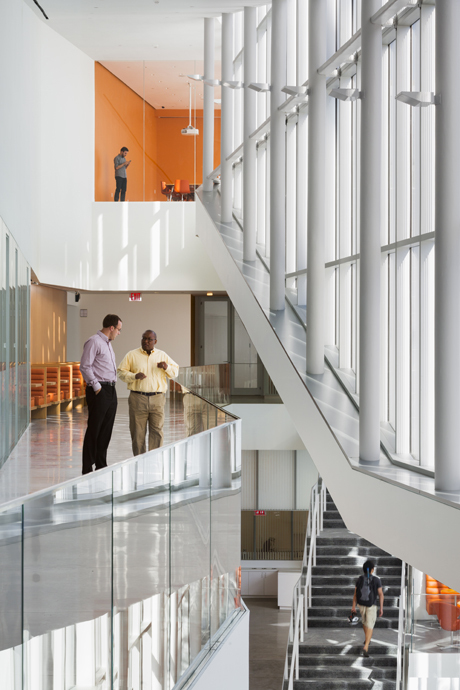 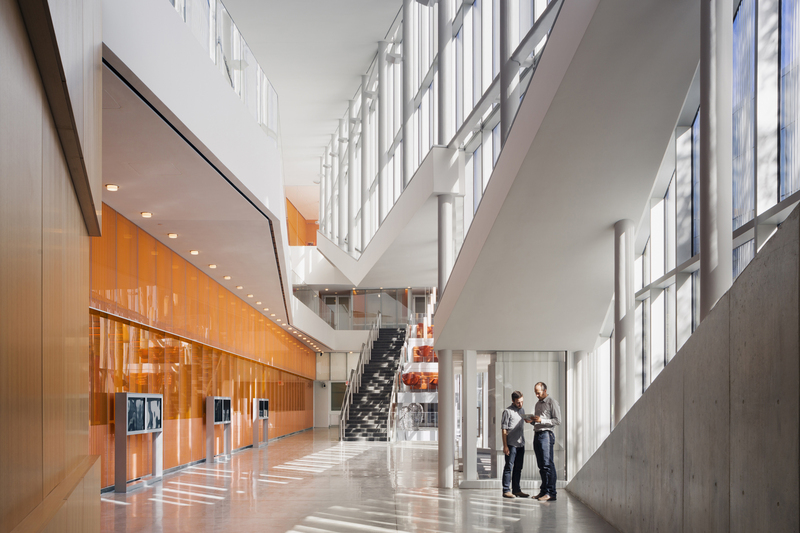 The Center for Nanotechnology focuses the laboratory buildings – typically around a traditional central corridor and afford little public space, exposing the work within the complex to visitors and the general public. 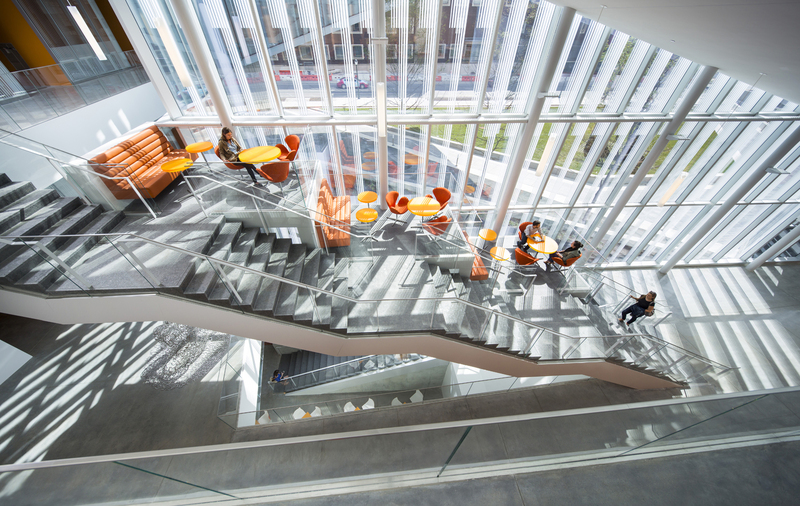 The collaborative spaces throughout the building provide ample opportunity for intellectual interaction between researchers, and offers a relaxed environment for our student community. 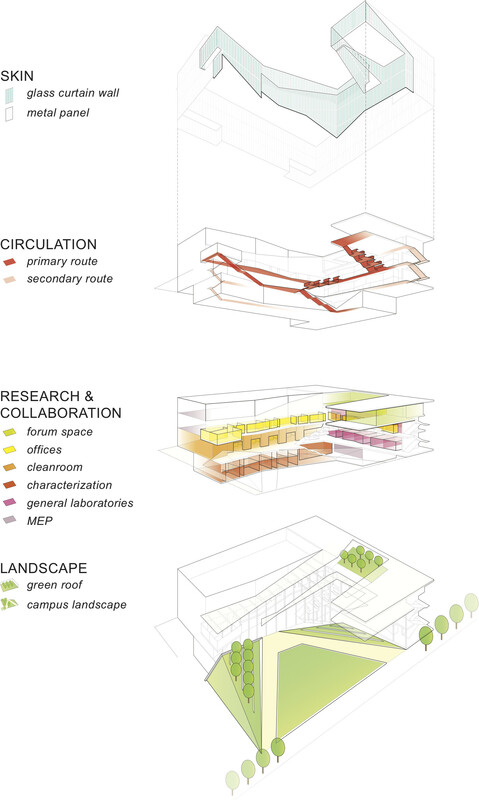 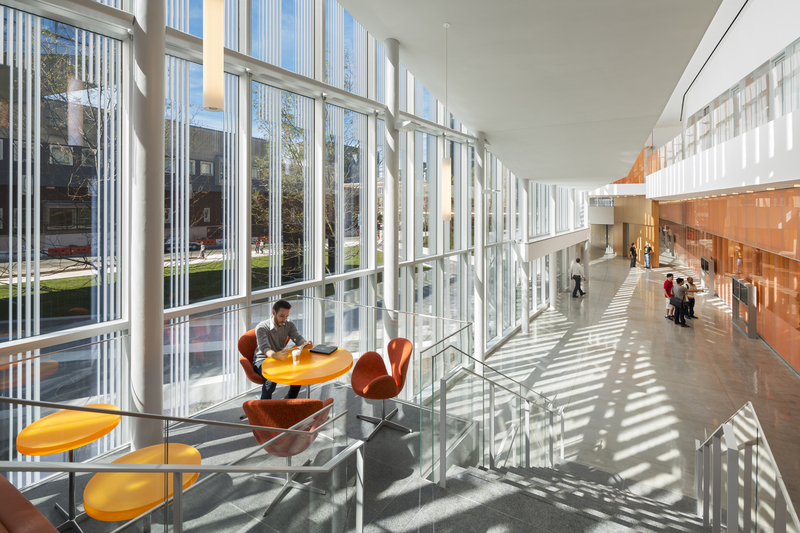 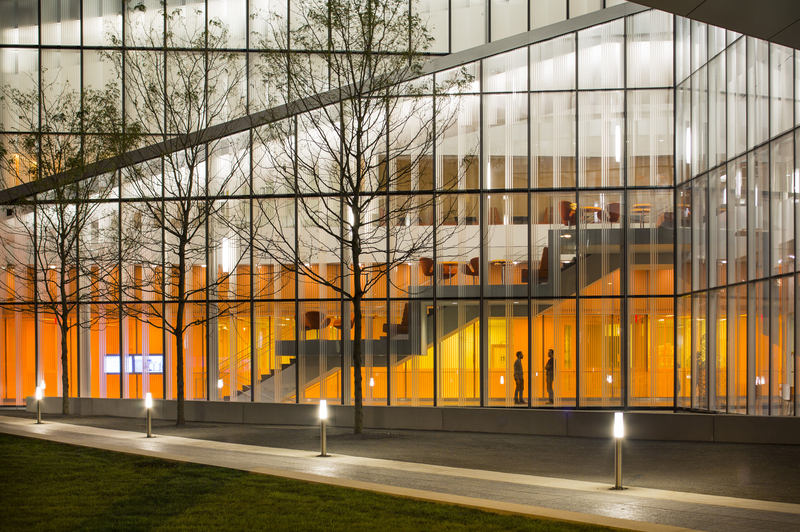 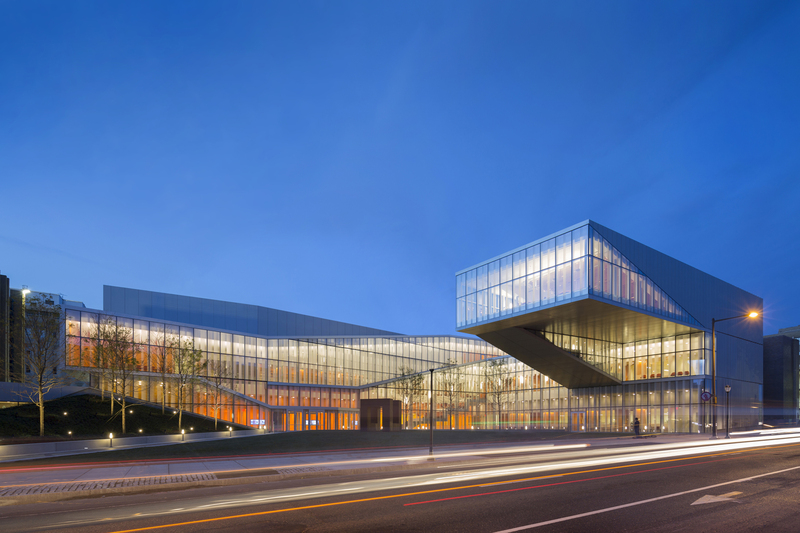 The Center for Nanotechnology with program elements as a lounge and café, at night, will become a glowing environment for research needed to support the continuous occupancy that research requires.